We were honoured to attend the Jersey Rugby Club on Friday 22nd December 2017 for the Jersey Reds home match against Hartpury RFC. 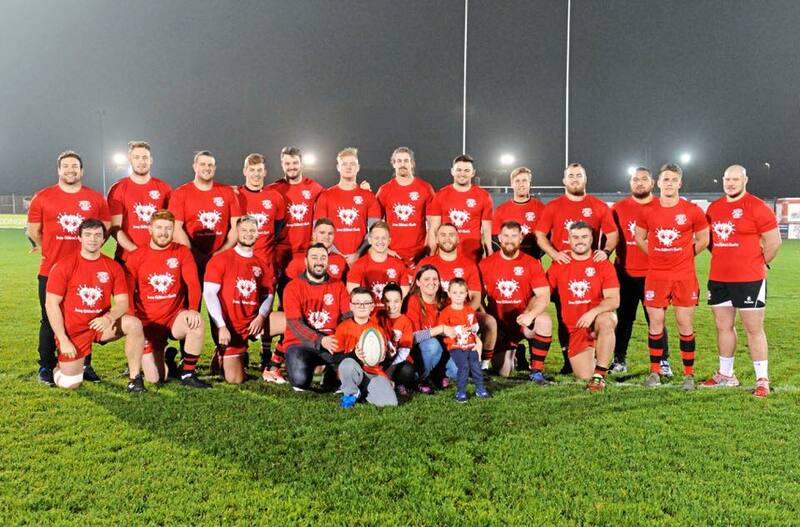 During their warm up session before the match the team wore tops bearing the Jersey Children’s Charity logo – we think they looked particularly awesome! At half time the charity was presented with a cheque for over £2,000 as a result of the sale of 50 specifically made cow bells designed for supporters to use on the side lines. Huge thanks to all the team, both on and off the pitch, with special thanks to Jake and George. PS Jersey Reds won the game 18-14.